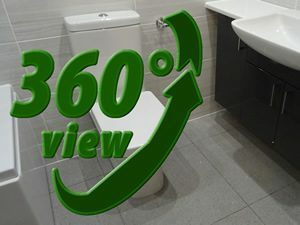 This is an unusual size and shaped bathroom.3 meters long and 1.50 meters wide. 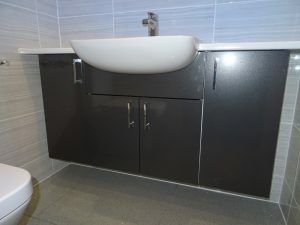 At one end is a cupboard entrance that restricts the bath from being fitted in the normal position of touching three walls. 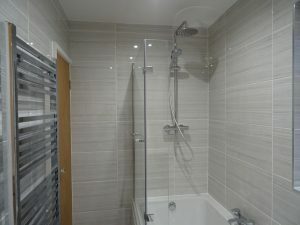 The client requested a L shaped shower bath, wall hung fitted bathroom furniture with a wall to wall fitted work top. 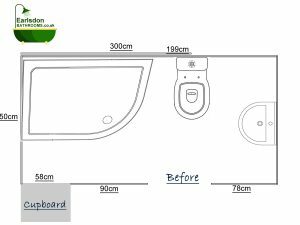 The area into the cupboard is 58cm wide. The client requested that a door be fitted to the close off the cupboard and allow access. 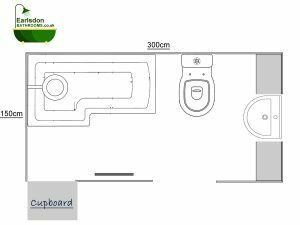 Below is the original bathroom design and layout. The bath is a corner bath, the basin is pedestal basin. 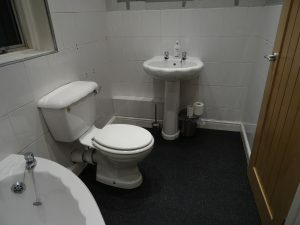 The tiled boxed area to the left of the basin is the basin waste pipe, note we will relocated this basin waste so that there is no boxed areas. 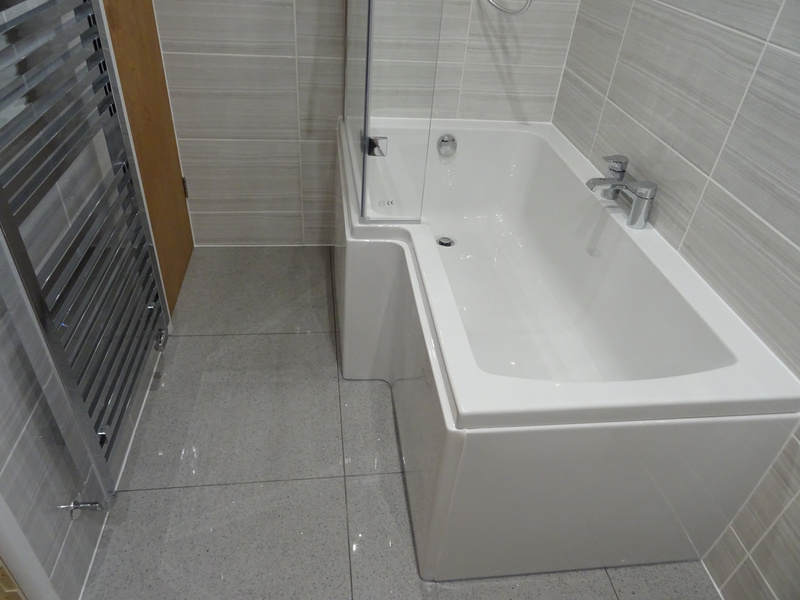 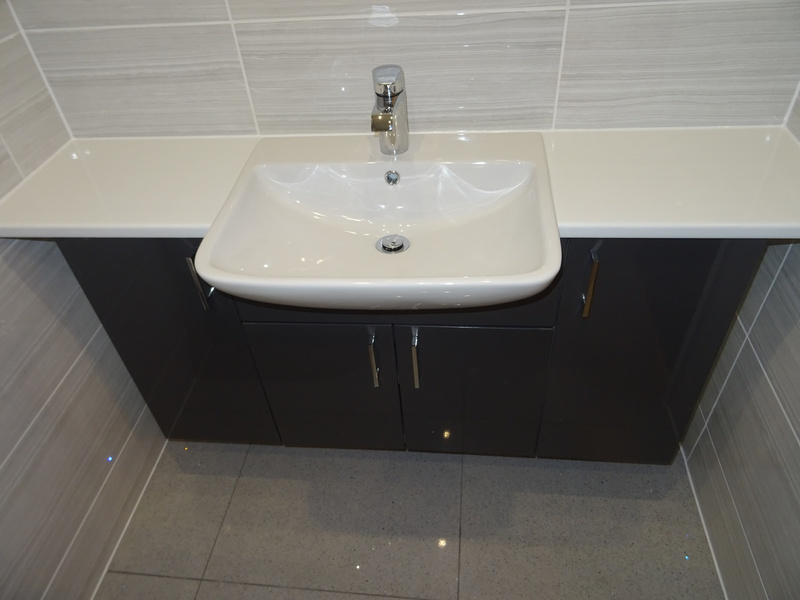 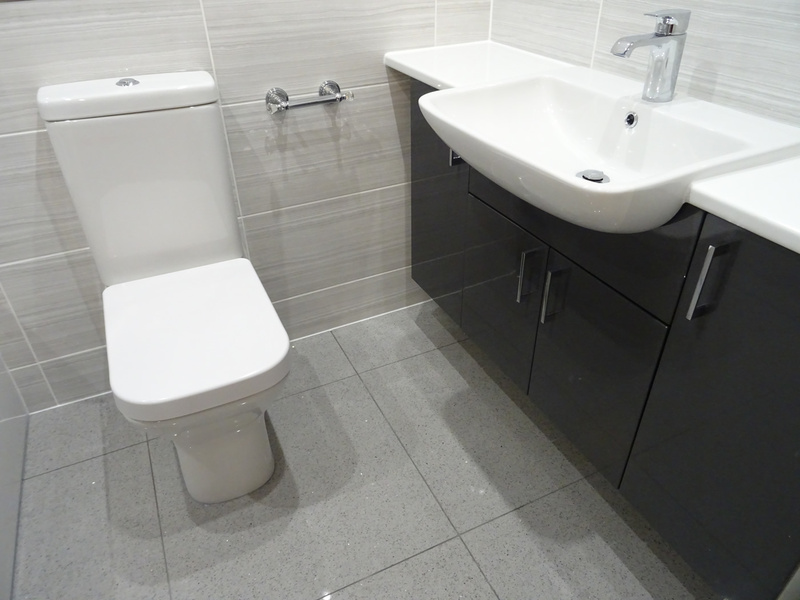 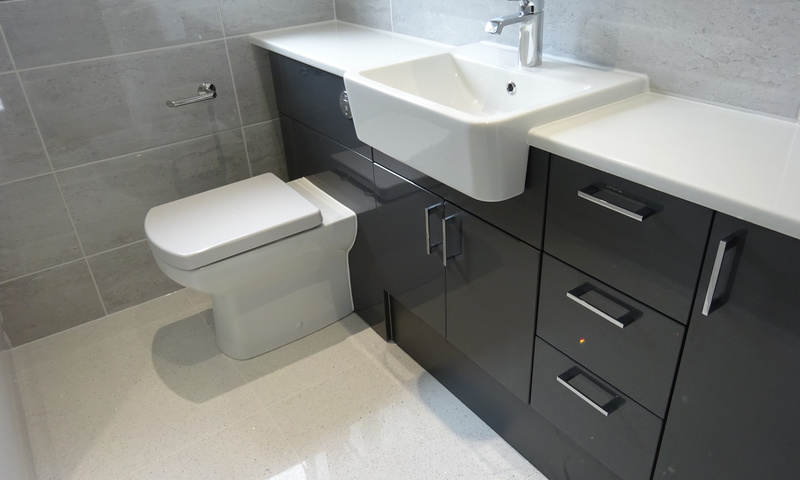 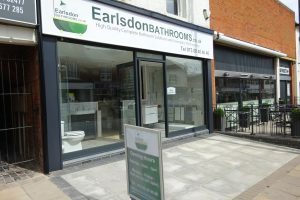 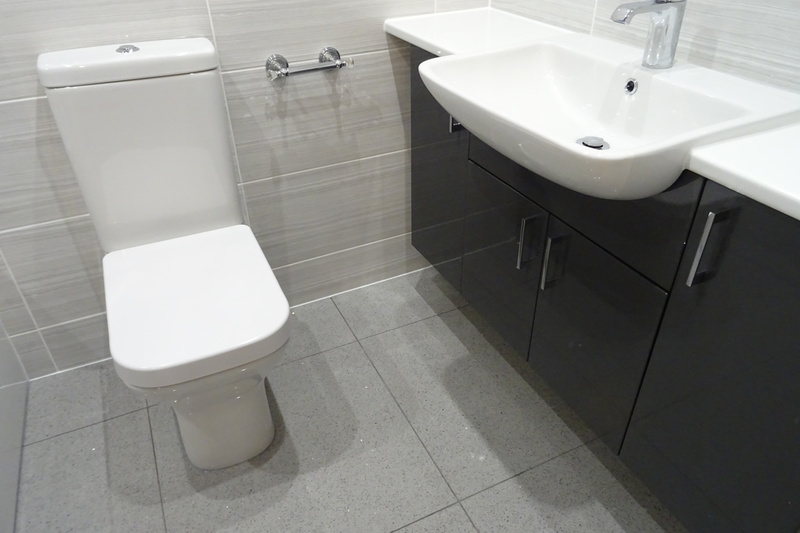 The image below is of the agreed bathroom design that we fitted. The bath, toilet and basin remain in the same location. 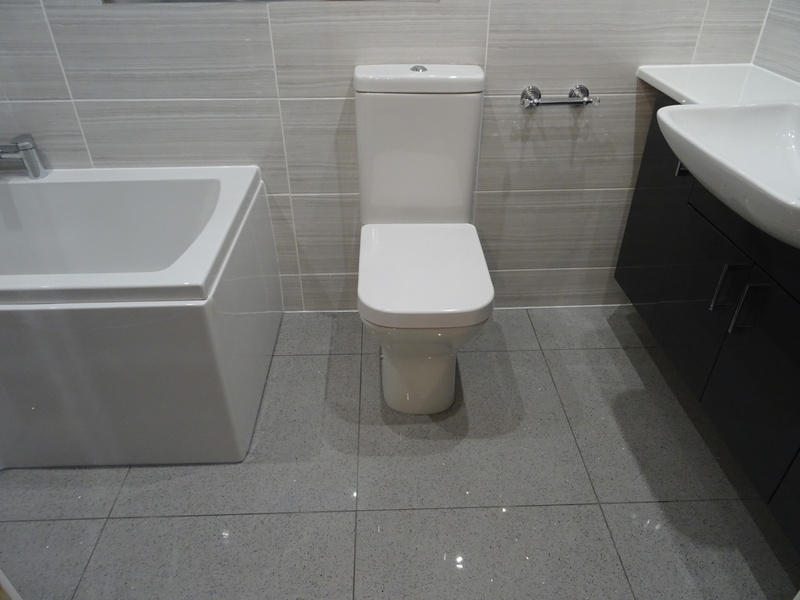 As the bathroom is of a smaller width of 150cm, we suggested fitting a close coupled back to wall toilet as not to take up too much of the floor space.